Are You Ready For Multimedia Messaging? Texting has become the communication medium of choice for the younger generations and it's rapidly growing to become the choice for all generations. So it's not surprising that it's also become the preferred marketing method for many businesses. The technical term for texting is SMS -Short Messaging Service. In recent years, a more robust service called MMS – (Multimedia Messaging Service) has been introduced. Just as convenient and immediate as text messaging, MMS Marketing offers several dramatic advantages. 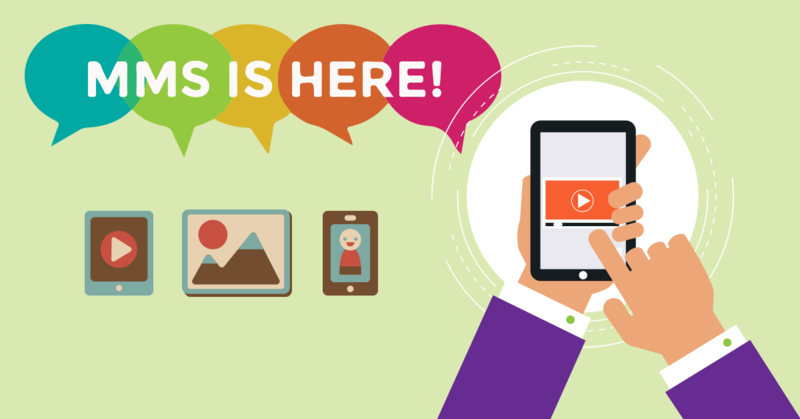 Instead of just plain text, a message can now include audio, video, color and animation. This opens up a whole new world of possibilities -particularly in marketing applications. Just to give you an idea of the difference, regular text messages are limited to 160 characters, or about 140 bytes of information, whereas multimedia messages allow for almost unlimited text characters and a much greater allowance when it comes to size. Another notable feature of multimedia messages is that the land in the mobile device's inbox and can therefore be forwarded to the recipient's contacts, making it possible for messages to go viral. This creates the potential for exciting marketing possibilities. Send mobile coupons and promotions as colorful images rather than only text. Receive MMS messages from clients. Run image and video contests and encourage clients to send in their entries via MMS. Send out music and commercial videos. Send out sports highlights as images or videos. Send visitors a map to guide them to your restaurant (or any type of business). Create SMS & MMS to screen campaigns, and ask the audience to send their photos via MMS. Set up autoresponders with photos and videos. In 2008, BMW developed a unique MMS message that resulted in a whopping 30% conversion rate - meaning that 30% of the customers in their database who received the message actually bought new tires. BMW created a strong MMS message that was tailored to the location and car of each name in their database. They then waited for the first snow to begin falling. Out went the message, which allowed the recipients to see what new snow tires would look like on their own car, along with the phone number to the nearest tire dealer. The results are legendary. As you can see, the possibilities for using this service in the business and advertising world are tremendous. However, business owners must keep in mind that not all mobile phones are capable of handling all features, and therefore can't receive the messages as intended. This must be considered before launching a full blown multimedia campaign. The future of multimedia messaging service is unlimited. The growth in sales of mobile phones is accelerating, and the MMS technology itself is speeding ahead just like that of all modern technologies. As a business owner, it's wise to keep abreast of these developments. If you own a business that can benefit, you should jump right on it now and beat your competitors to your customers' mobile inbox.